HUNTSVILLE, AL— June 20, 2012—GE Intelligent Platforms (NYSE: GE) today announced an addition to its rapidly-expanding range of COTS Rugged Systems (CRS). Designed to reduce program risk, cost and time-to market, GE’s CRS family now comprises eight packaged, pre-validated, ready-to-run rugged data/processing control computer systems for a broad range of military and commercial applications. Typical use examples include civilian and military unmanned vehicles, manned commercial and military aircraft, helicopters, over- and underwater research vessels, ground vehicles, locomotives and oil and gas applications. 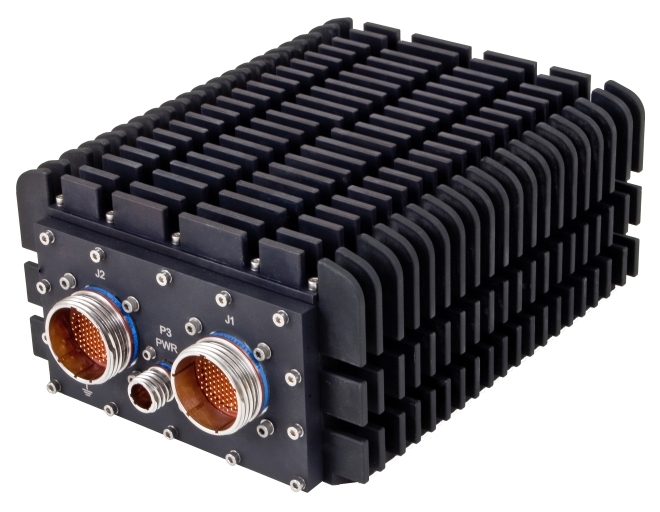 The application-ready CRS-C2I-3VB1 includes a single board computer featuring a 2.2GHz Intel Core i7 processor housed in a rugged, base-plate cooled 2-slot 3U VPX chassis featuring MIL-DTL-38999 connectors. Solid state storage is optionally available. I/O capabilities include Ethernet, serial, USB, MIL-STD-153, CANbus and VGA. Provision of these extensive I/O capabilities delivers significant flexibility in an off-the-shelf system, while high performance is assured by the combination of a powerful Intel® Core™ i7 processor and VPX technology. The system can be used for both application development and application deployment. Minimization of program risk and cost is further enhanced by GE’s program management competencies, together with extensive experience and expertise in the AS9100-compliant analysis, design, manufacturing and testing of systems in accordance with the relevant MIL and industry standards such as MIL-STD-810, 704, 461, and DO-160. Software development cycle time is minimized through the provision of Board Support Packages (BSPs) and drivers that can be used to aid integration of the application. Other members of GE’s COTS Rugged System family offer a range of choices using the 3U VPX and CompactPCI architecture in 2-, 3-, 4- and 5-slot chassis and featuring processors from Intel and Freescale.